The oldest and grandest traditions in lawn tennis are found at The Championships at the All England Club, Wimbledon. The event began in 1877, when the basic rules of the game were yet in flux. Rules codified for the early Championships influenced the shaping of the game everywhere--e.g., the court dimensions chosen there in 1882 are still in universal use. Wimbledon became the place of the unofficial world championships and a bastion of the ideals of fairness and competitive sport. The British decision in late 1967 to open the next year's Championships to professionals was the critical event in the dawn of the Open Era. Wimbledon remains one of the four great annual tournaments, the Slams, though it is the only one still played on grass courts. Today's pros are accustomed to dirt or paved surfaces, so most of them spend the two weeks before Wimbledon practicing on grass or playing in tune-up events. Critical on grass is the player's ability to retain footing and balance while starting and stopping. Bounces are sometimes irregular, and heavily spinning shots tend to skid, so that shorter strokes and quick adjustments are needed in reply. The serve gains greatly in effectiveness, as the ball loses relatively little forward velocity in bouncing. Thus weak serves become stronger, strong ones almost impossible to return. Servers win many short points, as serve-returners must cope with unpredictable and skidding bounces as well as the unaccustomed pace. Past champions whose greatest success came on grass--Sampras, Becker, and Laver among the men are examples, Navratilova and King among the women--relied heavily on the serve-and-volley tactic, where the player moved directly to net behind serve. Grass helped the player at net, as it was hard for the opponent to run down low-bouncing, short volleys or firm, deep ones. Thus grass made for highly athletic contests, though some watchers complained about the many short points and the limited variety in how points unfolded. But the strength and lightness of modern racket materials and design have helped players in returning serve and in stroking from back court. The dominance of clay and hard courts everywhere further discourages the relentless net-attacking style once seen, a tendency that carries over onto the few grass events. At Wimbledon 07 some players will follow first serves to net, but only a few will come forward directly behind second serves. The grass will still favor the attacker, and all players will assuredly move forward more readily than they would on other surfaces. But the net will not be a good place to be unless the opponent is first placed in a distinctly disadvantageous situation. There are six prime candidates for the women's crown at Wimbledon 07. Listed here, they have been identified from weighted results of the past year. Three of our elites are former Wimbledon champions, one has been twice runner-up, and two are relative newcomers to the highest ranks. Logic agrees with our computer that these are the top favorites, and the odds shown here are from a combination of both sources. (1) Henin (odds 4-1). Justine, now 25, has never won the Wimbledon crown but she has been runner-up twice and a semi-finalist twice. She lost to Mauresmo in the final round last year, playing aggressively throughout, winning the first set, but then seeming to weaken physically--a phenomenon occasionally noted subsequent to Justine's long sickness two years before. At peak form in winning her fourth French Open at Garros two weeks ago, Justine won all her matches in straight sets, showing a powerful ground game, superior mobility, and magnificent control in shot-making. Note, however, that of all the Slams Garros has been the poorest predictor of Wimbledon (even though it is closest in time). Only once in the last ten years has the Garros women's champion then won Wimbledon. At the Eastbourne grass tune-up this week Justine advanced to a final-round meeting with Mauresmo, scheduled 24 hours after the Wimbledon draw announcement today. (2) Serena Williams (odds 5-1). Serena, also age 25, was Wimbledon champion in 2002 and 2003. Since then, injuries and weight gain have hampered her playing career, but earlier this year she won both Australia and Miami, which have both been very strong predictors for Wimbledon. Key to her early-career triumphs was her dominant serving, though her serve's effectiveness has dropped off slightly in recent years. It appears to me that she has altered her delivery, apparently to produce spin more purely upward rather than partly across the ball. If so, in my opinion the result has been to forfeit her most powerful posture at ball-strike. Her serve remains a major weapon, however, especially on grass, and if it as well as her powerful driving and athletic movement are close to their best, she should be almost unbeatable. (3) Mauresmo (odds 8-1). Last year's champion, Amelie Mauresmo, was sidelined with appendicitis surgery in early 2007, and her results since her return have been far below her usual. Wimbledon has been a good place for Amelie, however, as she reached the semis three times in the four years prior to her 2006 triumph. Her wonderful mobility and balance, her good variety in stroking accompanied by good power, and her excellent volleying ability, perhaps the best in women's tennis today, make her formidable on grass. In her splendid final-round meeting last year with Henin, Amelie followed almost every first serve to net. Otherwise she played defensively, passing her opponent often in answer to Justine's frequent net forays. But to win this year, Amelie must significantly raise her recent level of performance. She reached the final at Eastbourne this week, showing an aggressive all-court style featuring frequent net attacks in defeating the dangerous Shahar Peer. (4) Sharapova (odds 8-1). Troubled by a serve that has fallen off in effectiveness and reliability, and of late by a shoulder injury, Maria suffered dismal losses in the Australian Open final early this year and again in the semis at Roland Garros. But the attacking instincts and weaponry of Sharapova are at their most dangerous on fast grass. Her lifetime mark of 20-3 in four Wimbledon appearances is her best record among the Slams, even better than her mark at U.S. Open, which she won last year. Though her successes have dropped off amid injuries, especially in 2007 to date, the mental fortitude Maria showed in capturing Wimbledon three years ago at age 17 has remained strong. If the shoulder is healthy Maria's return to past form could be glorious. Last week she lost a close three-setter to Jankovic in the final round of the grass-court tune-up at Birmingham. Because of scheduling backups Maria had to play four matches on the final weekend, Jankovic only three. (5 and 6) Jankovic and Ivanovic (odds, each 9-1). It almost goes without saying that our newest members of the game's elite are strong hitters and good movers. Both are both from Serbia, both born in Belgrade. 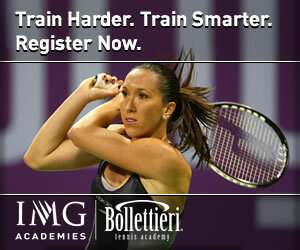 Jelena Jankovic, 22, surprised the tennis world by reaching the Final Four at U.S. Open last summer. Her upward movement continued thereafter and, after a strong season on clay this spring, she won the grass event at Birmingham last week. She now stands #1 in the year-to-date race for 2007. Currently third in the 07 points race, behind Jankovic and Henin, is Jelena's compatriot, Ana Ivanovic, age 19 at height 6-0. Ana was dazzling in outhitting Sharapova in the Garros semis, utterly controlling matters. But Ana was then crushed in the final round by Henin. Almost surely, one of our primes will carry away the crown. But the remainder of the top twenty or so seeded players all have remote chances of prevailing. Most of them are closely grouped in ability at odds of 50-1 or longer. We now look in turn at the four quarters of the women's draw. Atop the draw is the tournament's top seed, Justine Henin. At the opposite end of her quarter is Serena Williams, who is probably the most dangerous possible opponent for Justine in the entire field. The two were also locked in the same quarter at Garros, where Justine won their ferocious quarter-final meeting. Both should comfortably reach their predestined places in the quarters. Standing in Henin's path is Patty Schnyder, who is unlikely to threaten Justine on grass. Hantuchova is only a slightly more difficult opponent ahead for Serena. Serena has never lost to Justine on a nonclay surface. Henin missed Australian Open this year (won by Serena), and Serena defeated Justine in the final round at Miami after losing the first set at love. But otherwise Serena has competed very little this year, while Justine's activity, and success, has been steadily improving. After winning the crown at Garros 07, Justine did well at Eastbourne, noted above. (She won that event in 2006.) The strength of her recent play thus convinces me that Justine is--ever so narrowly--the likely winner over Serena in their Wimby showdown. Their outcome could well decide the tournament championship. The path to the Final Four seems relatively comfortable for Jelena Jankovic. She must surmount Lucie Safarova, Shahar Peer, and then Anna Chakvetadze, but none of these rising players have firepower comparable to Jelena's. Jankovic and Chakvetadze both advanced to the final at s'Hertogenbosch this week. A possible third-round match-up at Wimby could be interesting pitting Chakvetadze and Martina Hingis, whose strengths and styles are similar albeit over different tennis generations. Can Amelie Mauresmo recover her top quality of performance in time to survive the middle rounds? She seemed strong at Eastbourne this week, where she appeared to be working on her net-attacking. Amelie's considerable grass-court experience should carry her past a likely fourth-round meeting with Vaidisova. Meanwhile Ana Ivanovic must surmount Petrova--no certain matter although Nadia retired late against Mauresmo with pectoral trouble this week. Ivanovic and Mauresmo played each other in Wimby 06, Amelie winning in straight sets. To what extent has Ana closed the gap since then? Clearly the edge in experience and in grass-court skills still belongs to Mauresmo. Ivanovic lost, disappointingly, to Hantuchova at s'Hertogenbosch. My choice to win what could be a fascinating contrast of styles is the defending champion. Mauresmo into the Final Four. Svetlana Kuznetsova has a clear path to the final match of this quarter over her main obstacle--the winner of Golovin vs. Dementieva, neither of whom have shown strong results recently. More treacherous is the road for the tournament's second seed, Maria Sharapova, who must survive the winner of Venus Williams vs. Dinara Safina. Venus is a three-time Wimbledon champion, most recently in 2005. Moscow-born Dinara, 21, stretched Jankovic to a third-set tiebreaker at s'Hertogenbosch this week and is capable of sustained power. Any of these principals--Kuznetsova, Safina, Venus, or Maria--could be the last one standing in this quarter. Maria's proven magic as pressure rises argues for the former champion. Sharapova. Mauresmo won her three-setter against Sharapova in last year's semis. Certainly Sharapova's form in recent weeks has been above Amelie's, and certainly Maria has shown her stronger mental weaponry in big matches at past Slams. But Amelie's grass-court strengths, if she can find them, are of higher quality. I pick Mauresmo. Meanwhile in the other semi, Henin is the clear choice against Jankovic. A Henin-Mauresmo final will repeat last year's final-round match-up. This time the determination of Henin, having come so far during the two weeks, will not be denied. In my opinion, Justine will claim her first Wimbledon triumph in what could be an enduring classic of the game. Henin will thus complete her career Grand Slam. Roger Federer enters Wimbledon 07 as the clear favorite, having won the crown for the last four years. In watching his final-round match last year against Rafael Nadal, it sometimes seemed as if tennis had never been played so well. Roger, playing aggressively as he knows he must against Rafa, prevailed in four sets, two of them tiebreakers. Since then, Rafa has probably gained slightly on Roger. At age 21 he is nearly five years younger than Federer. Returning from groin injury, Rafa in March captured the hard-court tournament at Indian Wells without loss of a set, while Roger lost early in the event. Roger also lost at Miami, again to Argentine player Canas. As was the case last year, Federer and Nadal met in the final round at Garros, where Rafa again beat Roger in four sets, again yielding a total of 17 games. Then in the recent grass tune-up at Queen's, Rafa won two matches before bowing, the same as last year. Meanwhile Roger, who won the grass event at Halle last year, chose to rest instead. There are many superb stars ranked behind the top two. But it is hard to envision any of them beating a healthy Federer in best-of-five-set competition on Roger's best surface. There are simply too many superior weapons in Roger's arsenal, too many strategies he can call upon if things get difficult. Leaving aside Nadal, Roger is superior to any opponent in just about every aspect of the game. Nadal's path to the final is also likely, though less certain. Rafael has openly professed his determination to learn how to succeed on grass. His loss at Queen's last week was to the fine serve-and-volleyer Nicolas Mahut, score 75 76, where Rafa surely acquired valuable grass-court wisdom. His education will have advanced even further as he proceeds through the early rounds at Wimby 07. Meanwhile the grass on Centre Court will have become worn over much of the playing surface, thus becoming more like a dirt court and probably helping Rafa. Our calculations, which are based on weighted performances in selected events reaching back to Wimbledon 05 (see footnote), produce the following odds for winning Wimbledon 07. That Federer is only an even choice to win the tournament is supported by his losses at Indian Wells and Miami, both of which he won last year, his decision not to play a grass tune-up (citing fatigue), and the rise of young players Berdych, Djokovic, Gasquet, and Murray. Shown next are the four quarters of the draw and the leading contenders as defined by our calculations. Our raw scores predicting success at Wimbledon 07 are given. My predictions in all cases follow the raw scores. Federer 5.83, Gonzalez 2.76, Haas 2.11, Blake 2.01, Tursunov 2.01, Ferrero 1.75, Safin 1.46, Kohlschreiber 1.33. Roger is unquestionably the strong favorite. Roddick 4.05, Murray 2.68, Gasquet 2.43, Ferrer 2.07, Ljubicic 1.79, Mahut 1.65, Stepanek 1.60, Verdasco 1.50, Lopez 1.39, Clement 1.11, Chela 1.40, Moya 1.11, Henman 0.82. Roddick's serve will count greatly. Ljubicic has always been troublesome. French players Mahut, Gasquet, and Clement will meet in the first two rounds, with Mahut an interesting dark horse to go far. The status of Murray's injured wrist remains uncertain. Djokovic 3.60, Hewitt 2.68, Davydenko 2.20, Baghdatis 1.99, Nalbandian 1.88, Canas 1.47, Monfils 1.16, Santoro 1.16, Mirnyi 1.33, T Johansson 1.03, Vliegen 0.75, Karlovic 0.54. The wonderful serving of Karlovic can make him difficult for favored Djokovic in the third round. Davydenko shows no past success at Wimby. Monfils at age 20 is not yet ready. The wins of Canas over Federer this spring call for attention. Baghdatis beat Hewitt last year in reaching the Wimbledon semis. Both have been strong of late. But Djokovic's fine performance throughout 2007 to date seems to assure his success in this quarter. Nadal 4.78, Berdych 2.84, Youzhny 2.08, Robredo 1.95, Nieminen 1.74, Bjorkman 1.61, Mayer 1.50, Grosjean 1.42, O. Rochus 1.32, Soderling 1.17, Fish 1.09. Berdych's triumph at Halle raises his credentials here, but even on grass his fine serving and hitting are not likely to trouble Rafa. Any of the others can hold up well against Nadal for stretches but hardly over best-of-five sets. Roddick and Djokovic are worthy semi-finalists. But Andy has repeatedly fallen far short against Federer, making his chances here seem minuscule. Djokovic and Nadal are much closer. They met in the final at Indian Wells this spring and in the quarters at Miami, splitting the outcomes. The two are less than a year apart in age and may be expected to meet many times in coming years. Rafa had the better Wimbledon last year, while Djokovic was disappointing on the grass at Queen's last week. Another historic Federer-Nadal match-up thus looms. Nadal has shown he can be troublesome on grass for Roger. But Roger's four consecutive Wimby crowns underlines the magnitude of his talent on that surface. Federer must play his best and cannot be too cautious. But the probabilities strongly argue that Roger will equal the achievement of Bjorn Borg, who won five straight Wimbledon titles 1976-1980. No one else has done so in the last hundred years. Whatever the outcome, I hope all readers will be privileged to watch it happen. FOOTNOTE: The raw scores and odds for the men's singles given above are obtained from weighted performances in major predictor events. Here are the weights used in the prediction, taken from seven years of past correlations data. The calculations include a small correction for age, derived empirically, where each player's age gives his likely improvement (or decline) in the months between each predictor and the target event, Wimbledon 07.